SINGAPORE – The Government has relaxed some residential property measures relating to the seller’s stamp duty (SSD) as well as the total debt servicing ratio framework (TDSR). The new rules take effect from March 11. However there is no change to the additional buyer’s stamp duty (ABSD) as well as loan-to-valuation (LTV) limits. 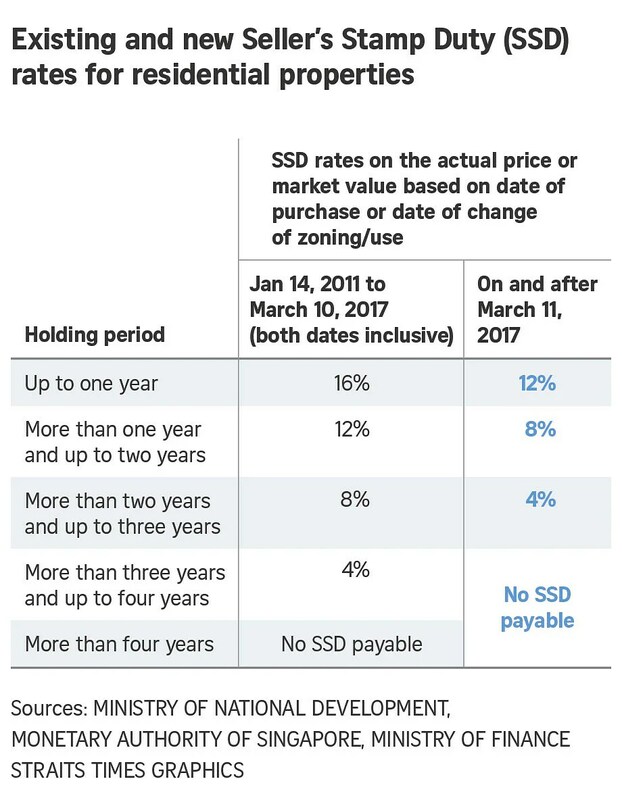 Instead, the Government is making “calibrated adjustments” to the SSD and TDSR framework, the ministries of national development and finance and the Monetary Authority of Singapore (MAS) said in a joint statement on Friday (March 10). The SSD is currently payable by those who sell a residential property within 4 years of purchase, at rates of between 4 per cent and 16 per cent of the property’s value. The rates apply to all homes bought on and after March 11. The current TDSR framework aims to encourage prudent borrowing by households. Under this frameowork, property loans extended by a bank cannot exceed a TDSR threshold of 60 per cent. This means that your total loan obligations cannot exceed 60 per cent of your monthly gross income. Next Article Some property curbs eased: But what do TDSR, LTV, SSD and ABSD mean?